It’s pretty special here . . . not a lot of people can find this kind of workplace. A law firm administrator for 23 years, Colleen Thomas was busy 24/7. Then she switched gears and became an administrative assistant at Hodgson Russ. 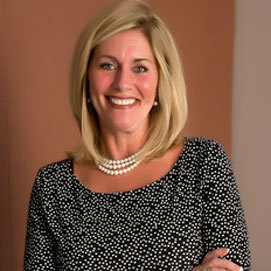 When the opportunity to expand her role was offered, Colleen “jumped on it.” Nowadays, supporting a partner and a senior associate in the Business Litigation Practice as well as assisting the firm’s Office of General Counsel, her plate is fuller than ever—which is just the way she likes it. How have you grown during your time with Hodgson Russ? One of the great things about the firm is that they empower you to take on projects and encourage you to expand your opportunities. Much of my growth has had to do with my responsibilities related to the Office of General Counsel [OGC]. I get to interact with everyone in the firm across practice lines, more so than some who must focus only on their specific area. I use my organizational skills to coordinate that office’s day to day activities, conferences, and programs. I coordinate the OGC's continuing legal education programs for the firm and work on tasks that go outside of the typical administrative assistant’s role. I get to wear many hats. Working in the OGC office allows me to utilize my creative side, something I really enjoy. I’m proud to have designed the OGC newsletter that gets distributed quarterly to the firm. In terms of events, our OGC office recently hosted a two-day conference for the United States Law Firm Group in Buffalo, and I coordinated all the logistics for the participants and their guests. It was a great feeling to know that the entire event went off flawlessly. The more they look to me to take things on, the more motivated I get. The perception of the large law firm is that they’re corporate and stuffy, but at Hodgson Russ, it’s not like that at all. Our environment is informal, most everyone is on a first name basis and the office attire is business casual. But these things don’t mean it’s a trade-off for professionalism. It’s a respectful and supportive place to work. You don’t work “for” people, you work “with” them as a team. They look to you for input and provide a sense of value for what you do here. This supportive attitude comes from the top down, and that’s what makes it different. It’s pretty special here, and I love coming to work everyday. Not a lot of people can find this kind of workplace.